Blue Hole Park popularly known as Tom Moore's Jungle (and also as Walsingham Nature Reserve) is located in Hamilton parish. The entrance is where the Blue Hole Hill road meets the Causeway opposite to the Grotto Bay Beach Resort. There are other entrances to the reserve as well. The entire reserve is spread across 12 acres of land area. A narrow lane from Blue Hole Hill just before the causeway leads to a car park. Walk through a fence opening and then through an wooden log frame into the reserve area. The main paved trail goes almost all along the water edge and you get lovely view of Castle Harbor from several places. The trail and many offshoot paths through the dense woodland area lead to different attractions within the reserve including caves & grottos with great stalactite formations and natural pools. One of the highlights is the mangrove pond. It's a pool with crystal clear deep blue water and lots of fishes in it. This is the Blue Hole after which the park has been so named. The pool is fringed by forests and on one side by rocks & crevices. It has been restored by the Bermuda Government in 1970. From the entrance, walk along the stone pathway, past a nice beach on your left. When the path bifurcates, take the left and you will reach an open grassy area. From the open grassy land with a picnic table on one side, you can see the steps to a small wooden platform (having an wooden bench on one side). Standing on the platform, you can soak in the serene beauty of Blue Hole pond with surrounding cliffs and greenery, and watch fish in the water. You can also do easy cliff jumping here and enjoy a swim at the blue hole. Look for the dirt path from the grassy area to the right of the viewing deck. The narrow red dirt path leads to couple of cliff jumping points through the forest. There is another Blue Hole (#2) which can also be reached from the stone path and other dirt paths. Direction: Walk along the main stony pathway. When you reach the old toilets, take the left path through forest. Keep walking and you will come to another pathway to the right. Take that. You will finally reach Blue Hole#2. But it's too small to swim. There is a limestone cave mouth nearby called the Causeway Cave. From an observation tower, you can watch variety of birds like the herons stalking crabs on the shore, finches, cardinals, doves and other birds. The park is known as the Tom Moore's Jungle because this is where the Irish poet Thomas Moore wrote some of his poetic verses under a famous calabash tree in 1844. The tree has been destroyed by Hurricane Emily in 1987. However, branches have been replanted to grow the tree again. 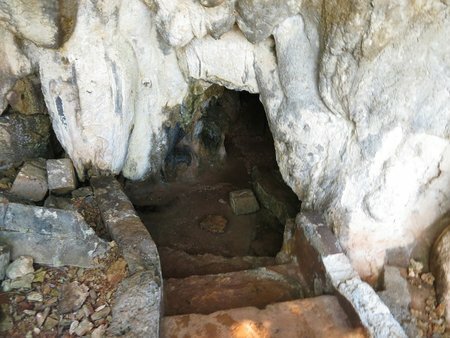 There are many caves and subterranean grottos in the reserve area. Water tide here mainly comes from the nearby Castle Harbor through subterranean channels or tunnels. You can see different kinds of fish in caves that have lakes and sometimes even turtles. Some of such caves includes Causeway Cave, Castle Grotto, Blue Grotto, Walsingham Cave, Subway Cave, Deep Blue, Vine, Fern Sink and more. Several of them are fed with sea water, but many are small and too small for swimming while some are great for cave swimming. The Subway Cave is a hidden dry cave which is tucked in the forest with entry below the floor of forest. It has dramatic limestone formations hanging from the ceiling. However the ceiling is quite low at many places and you should wear a helmet, carry flash lights. You need to crawl for most part once inside. The Walsingham Cave is huge and about 200 meters. You can see the concrete path and steep stairs to the cave. But it's quite dark inside and a flashlight could be quite handy. Be careful, it can be quite slippery here if it's wet. The water at the cave is clear and cool. You can do cave swimming here. Although there are stone stairway to the water, there could be some sharp rocks as well. So water shoes could be useful. 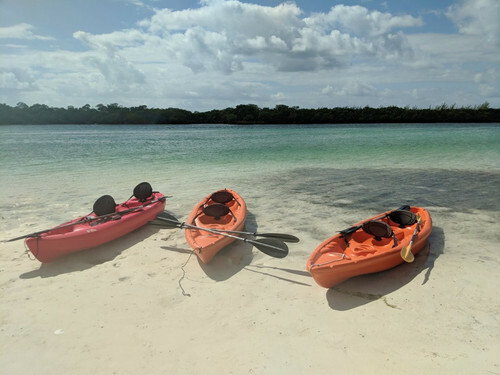 If you want to properly explore the reserve, tread some of the numerous jungle trails and get to some of the caves to swim, then you ideally need a guided tour with an expert. Otherwise you may spend hours to find the caves you are looking for. Many however keep to the main stone pathway which goes all the way to the other end and ending at the historical Tom Moore's Tavern restaurant. If you are however hell-bent on finding a great cave to swim in Tom Moore's Jungle, here is the direction for Walsingham Cave: Come up to the Blue Hole #2 (direction already given above). Take another dirt pathway opposite to the 2nd Blue Hole, it goes up then down and then you will see a cut down tree on the way. Take right here, and you will reach Walsingham Cave. Stay on the trails. Geocaches are accessible from pathways. Keep dogs leashed at all times and clean up after them. Remove all trash. Garbage cans are located in the Government Park at Blue Hole. Beware of hidden sink holes, uneven ground and poison ivy. Feral bee hives must not be disturbed. Exploring the cave systems is discouraged except under permit. Protective headwear and footwear should be worn, and flashlights carried. Swimming is discouraged, and fishing is not permitted in Walsingham Cave, the large grotto found in the eastern part of the reserve. Swimming in the grottos is not permitted in order to protect rare, endemic cave life. WARNING: Submerged rock formations can cause injury and rats are known to swim in the caves. The castle harbor coast line here is quite nice for snorkeling. The bay is shallow and there are mangroves all around. However, you won't get much beach areas though. Also you need to be a bit careful about the underwater rocks that might hurt your feet. The reserve is owned by a private trust that also runs the Tom Moore's Tavern, a well known restaurant which the Irish poet used to visit as well. It's located on one side of the reserve. There is another reserve called the Idwal Hughes Nature Reserve, a nice 1.25 acres woodland area which is also part of the larger Walsingham. This area is managed by Bermuda National Trust and is full of Bermuda cedars, palmettos and unique geological formations. It can be accessed from the road leading to Tom Moore's Tavern off Harrington Sound Road in Hamilton Parish. This part of the terrain is a little difficult and not suitable for wheelchair. It is open daily from sunrise until sunset. Admission is free to all. Car parking and toilets are available. There are also picnic tables in the reserve at several places to relax, but no eatery inside the park. There is no store or tour guides here either. You should carry your own water bottles. Go to Bermuda Tourist Map to view the location of the park and several other attractions nearby. 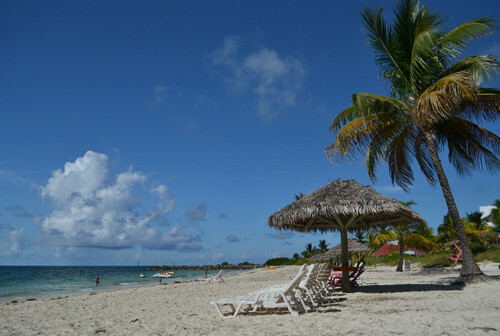 Take bus #1, 3, 10 or 11 to the entrance of Grotto Bay Beach Resort in Hamilton Parish. These buses operate between Hamilton City and St George. The bus stop is right next to the resort's entrance on the main road (Blue Hole Hill). From here walk for 2-3 minutes towards the causeway that connects to St. George. You will walk past a Rubis Gas Station on your left (pick up a water bottle at the gas station, you will need it, also use the bathroom - there are no facilities inside the reserve). Right where the Causeway starts, a lane on the right leads to the Blue Hole Park. There is also an entrance to this reserve from Tom Moore's Tavern (from the end of Walsingham lane, off Harrington Sound Road). Go towards left of the restaurant where a dirt path leads to the jungle. Both entrances have parking facilities. If you have a transport pass then you won't need to pay any separate public bus or ferry fares. Otherwise, from dockyard up to Hamilton City, fare is $4.50 by token and $5.00 by cash per adult in both bus and ferry. From Hamilton, the bus fare up to Grotto Bay Resort is $4.50 by token and $5.00 by cash. If you come by bus up to Hamilton and take an onward transfer in the next bus, then no additional fare is required for the second part of the travel. You can also use tickets in both ferry and bus for both legs of the journey (from a pack of 15, pack costs $37.50). If you are visiting Blue Hole Park from St George, 3-zone bus fare would apply ($2.75 by token and $3.50 by cash). 1) Bermuda Parks & Gardens: Great parks, gardens and nature reserves in Bermuda. 2) Check out Bermuda Nature Trails for the best trails to explore Bermuda's nature on foot. 3) Check Hamilton Parish for many other attractions in the parish. Is it possible to get a guide for a couple hours to hit some highlights of the park? There are no guides available at the park. 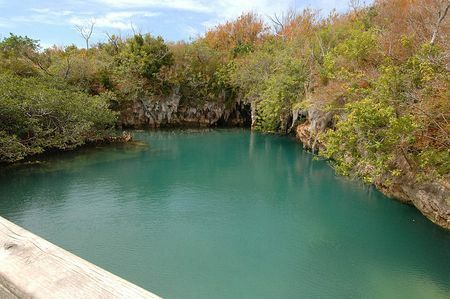 However some tour companies like Hidden Gems of Bermuda conduct packaged guided tours of Blue Hole Park. You can book such tours online through their websites. Hello. Thank you in advance. We will be going to St George and then wish to see Tom Moore jungle. I am confused about the best way to go. We would take the #3 bus? Do we want to go in by Blue Hole Park or Tom Moore Tavern? When we leave we are not returning to St George but traveling on to Hamilton to take ferry back to dockyard. Where would be pick up bus to go to Hamilton at? Do we want to come out by the Tavern and get bus there? Is there bus stop by there? Please let me know best way to go. Hi, use the Blue Hole Hill entrance (near Grotto bay beach resort). You will get buses there both ways (i.e. for Hamilton or St. George).